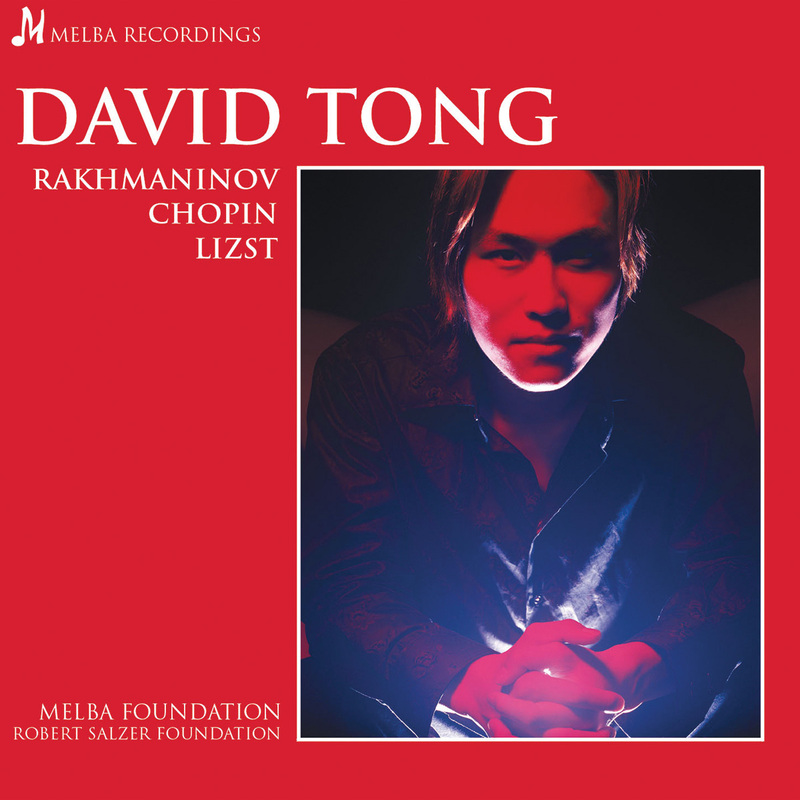 Tong has performed as a recitalist and concerto soloist with major orchestras in New York, Australia, New Zealand and China. Conductor Richard Bonynge describes Tong as “the most poetic pianist of his generation”. 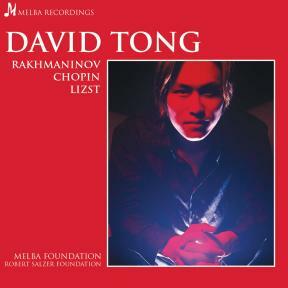 Rakhmaninov's preferred recital composers were Chopin and Liszt, and almost always included his own music in his recital programmes, so it is a natural homage that these three masters appear together in this recording début recital by one of the finest young pianists of today. Until recently, the two Rakhmaninov piano sonatas have remained rather neglected and, compared to the concertos, were scarcely promoted even by their composer. Both works were already subjected to revision and some condensing before their original publications, and Rakhmaninov, ever pessimistic and self-critical, played the pieces each for a couple of seasons and then dropped them. After the critical failure of the 4th Piano concerto in 1927 (actually one of his most impressing works, and only recently published in its Urfassung), Rakhmaninov composed virtually nothing for four years - a silence parallel to that which followed the catastrophic première of the 1st Symphony in 1897. In 1931, he produced his last solo piano composition: the Variations, opus 42 (usually called "on a theme of Corelli" despite the composer's wish, and the fact that the theme was only borrowed by Corelli). This work is the first example of Rakhmaninov's later, more concise style. At the same period, Rakhmaninov was performing the 2nd Sonata of Chopin, and unfavourably compared his own 2nd Sonata (in the same key) as being too long, and having too many notes. He subjected it to rather rigorous pruning of both texture and structure (the development in the third movement is reduced to 8 bars! ), added one or two new winsome touches, had it reissued and played it again over several seasons. Much of the music of the Second Sonata derives from the opening downward flourish, which is immediately revealed as the source of the principal theme. The second theme derives from the first, and hovers around a single chord, with tiny fluctuations of harmony. This material reappears in the other movements, but there are further new melodies: the little introduction to the second movement serves also to introduce the third, whilst the rocking theme of the slow movement is combined with the opening of the whole sonata to make the theme of the finale. There Rakhmaninov adds a typical lyrical second theme which almost remains aloof from the actual musical argument, and whose second appearance is subsumed in the frenetic coda. The opus 36 is dedicated to Rakhmaninov's fellow student in Zverev's class of the late 1880s Matvei Pressman (1870-1937). Rakhmaninov's 24 Preludes through all the keys was a project that gained momentum rather a long time after it started. The famous C sharp minor Prelude (the second of five Morceaux de fantaisie, opus 3) dates from 1892, and the G minor Prelude followed in 1901, but had to wait to be surrounded by nine companion pieces in 1903 - all ten of opus 23 are dedicated to Rakhmaninov's cousin, and former Liszt student, Alexander Siloti (1863-1945). The thirteen remaining pieces (opus 32), the last of which quotes the first Prelude, were composed in 1910, and bear no dedication. The Preludes have always been the most popular of Rakhmaninov's character pieces and, although he gave none of them specific titles, each seems to be a picture of something, someone, or some state of being quite peculiar to itself. The G minor conjures up something rather military, in a very Russian way, punctuated by a most yearning melody, whilst the G major is a delicate single line wafting above almost unruffled waters of accompaniment. Chopin's 3rd Scherzo is apparently the only piece of his pieces which he deigned to dedicate to one of his male students. The lucky recipient of this mighty work, possessed of a hand large enough to take the wicked left-hand chord in bar 6 (Chopin could not play it unarpeggiated) was Adolf Gutmann (1819-1882). The structure takes its point of departure from the symphonic scherzo and trio, but ingeniously combines it with elements of sonata form. The mysterious introduction gives way to the principal theme, which is always stated in double octaves. The second theme is a kind of secular choral, whose phrases are extended by decorative descending figuration (which also serves to clarify the motivic connections between the two themes). Not a note is wasted here; even the rolling accompaniment to the last statement of the choral at the end is itself a development of that theme. Chopin worked sporadically over three years (1829-1832) on a group of twelve piano studies, which would eventually be published as his opus 10, with a dedication to his friend Liszt. The plan had originally been to write studies through all the keys (a plan eventually adopted in the opus 28 Preludes), and the hand-numbingly treacherous arpeggios of the opening C major study raise the curtain on a new and very demanding piano technique. It is also a splendid example of a composition with only the barest hint of a melodic line; the bass-line is proudly present, of course, but the rest is suggestion and harmonic progression. A tour de force in every respect. Liszt's travels in the 1830s introduced him to much of the art and nature of Switzerland and Italy, and he wrote many pieces inspired by his quick perception of the writing, painting, sculpture, countryside and the general atmosphere of the places he visited. Typically, these works of his early period underwent serious revision after he became Kapellmeister in Weimar in 1848, and many of them were reincarnate as the Années de pèlerinage, first published in two volumes: Suisse and Italie. The second book received a supplementary volume shortly afterwards: Venezia e Napoli. Venezia e Napoli is usually waved away as a rather insignificant group of encore pieces, but whilst they are obviously lighter fare than the works which they supplement, they merit high praise for their sheer beauty and ingenuity. Liszt had a collection of four pieces under this title ready for publication in 1840, but they were not to appear until after his death. Meanwhile, he had turned the first of them into the symphonic poem Tasso, and had discarded the second. The third and fourth became numbers one and three of the present set, to which Liszt added a new middle movement. Each piece is based on what was familiar material in the streets of Italy at the time of their conception: Gondoliera is described by Liszt in the score as La biondina in gondoletta - Canzone di Cavaliere Peruchini (Beethoven's setting of it, Wo0157/12, for voice and piano trio just describes it as a Venetian folk-song; Peruchini remains elusive) and treats it in a much gentler way than in the earlier version with a particularly fine verse with tremolo accompaniment; the tremolo then guides a very dark musing upon Rossini's Canzone del Gondoliere - "Nessùn maggior dolore" [Otello] which itself recalls Dante's Inferno [There is no greater sorrow than to remember past happiness in time of misery]; and the Tarantella - incorporating themes said to be by Guillaume Louis Cottrau (1797-1847), but he was merely a publisher! - emerges from the depths, much subtler than in its previous, primary-coloured garb, but ultimately triumphantly boisterous. The Faust story was a lifelong obsession for Liszt, whether told by Goethe or by Lenau. Goethe inspired the Faust-Symphonie - Liszt's orchestral masterpiece - and Lenau two further orchestral works: Der nächtliche Zug [The procession by night] and the Tanz in der Dorfschenke - Erster Mephisto-Walzer [Dance in the village inn - First Mephisto-Waltz]. (Three further Mephisto-Waltzes and a Mephisto-Polka, as well as the related Bagatelle without tonality would follow in Liszt's last years.) There is every chance that the famous first Mephisto-Waltz was conceived first for piano - certainly the orchestral version is by no means a bar-for-bar transcription of it - but Liszt issued the piece as if it had been transcribed from the orchestral work, and had a large portion of Lenau's poem printed as a preface. He dedicated the piece to his star pupil Carl Tausig (1841-1871). This music proved instantly popular and controversial, but the criticism only served to encourage more musicians to take up the piece in defiance. Mephisto's mad whirl of earthly pleasures was perfectly described by Humphrey Searle, in "The Music of Liszt", in his paraphrase of the episode from Lenau's poem: Faust and Mephistopheles enter the inn in search of pleasure; the peasants are dancing, and Mephisto seizes the violin and intoxicates the audience with his playing. They abandon themselves to love-making, and two by two slip out into the starlit night, Faust with one of the girls; then the singing of the nightingale is heard through the open doors. The solo piano version does not contain Liszt's quiet alternative ending to the orchestral version depicting the company sinking "in the ocean of their own lust", but has Mephisto laugh, dance, and the vision is abandoned. In 1826, not yet fifteen years of age, Liszt published the first instalment (12 pieces) of what promised to be an 'Étude en 48 exercises' in which the young prodigy intended to run twice through all the keys. In 1837, at the height of his Glanzperiode, Liszt took these pages and developed a formidable set of mature studies - 'Douze Grandes études' - which, as Schumann noted in his laudatory review, were probably too difficult for anyone other than Liszt to play musically. The essential musical poetry of these colossi was rescued by Liszt from the more extreme technical demands in the final version published in 1852. Now, in the Transcendental Etudes proper, the pieces become by no means easy, but are much clearer in musical intent. Titles are now appended to ten numbers - only guides for performance rather than clues to the sources for Liszt's inspiration, but they are evocative enough, and often uncannily paraphrase the atmosphere conjured up by the music. No. 8, Wilde Jagd [Wild Hunt], is marked 'Presto furioso' and in the matter of leaps is the most reckless of the studies, beginning with jagged cross-rhythms which are later contrasted with a more four-square, fanfare-like theme. All these studies were affectionately dedicated to Liszt's old teacher Carl Czerny (1791-1857).